Hornbeam wood is known for its high density, hardness, toughness, and wear resistance, but due to its low durability (Class 5 according to EN 350), limited wood quality, and rather small sawmill yield, it is mainly utilized as firewood today. The potential for hornbeam to be used as solid, high-quality wood material exists if its durability and dimensional stability can be increased. Hornbeam boards were acetylated under industrial conditions and tests were carried out to evaluate the treatability of this wood species by acetylation. In this study, the examination of physical, mechanical, and durability properties of acetylated hornbeam wood are described and compared to untreated hornbeam and to acetylated beech, which has a similar anatomical structure to hornbeam. Acetylated hornbeam was also compared to acetylated radiata pine, which is the main product of Accsys Technologies. These comparisons include the determination of the equilibrium moisture content, density, dimensional stability, accelerated checking, color change, water uptake, decay resistance, compression strength, modulus of rupture (MOR), modulus of elasticity (MOE), impact bending strength, Janka hardness, Brinell hardness, and impact bending strength. The aim of this project is the creation of a new product thereby widening the usage of this species. Resistance of acetylated wood to basidiomycetes, soft rot and blue stain. Document IRG/WP/94-40021, The International Research Group on Wood Preservation, Bali, Indonesia, pp. 11. Mechanical properties of acetylated solid wood treated on pilot plant scale. In: Proceedings of the “First European Conference on Wood Modification” (Van Acker J, Hill CAS eds). Ghent (Belgium), 3-4 April 2003. Ghent, Belgium, pp. 341-350. Testing of wood; determination of density. German Institute for Standardization, Berlin, Germany, pp. 3. Testing of wood; determination of moisture content. German Institute for Standardization, Berlin, Germany, pp. 4. Testing of wood; determination of swelling and shrinkage. German Institute for Standardization, Berlin, Germany, pp. 4. Testing of wood; compression test parallel to grain. German Institute for Standardization, Berlin, Germany, pp. 4. Testing of wood; bending test. German Institute for Standardization, Berlin, Germany, pp. 4. Testing of wood; Impact bending test; Determination of impact bending strength. German Institute for Standardization, Berlin, Germany, pp. 3. Mechanical properties of acetylated wood. Forest Products Society 14: 66-68. Wood preservatives. Test method for determining the protective effectiveness against wood destroying basidiomycetes. Determination of the toxic values. European Committee for Standardization, Brussels, Belgium, pp. 34. Moisture content of a piece of sawn timber. Estimation by electrical resistance method. European Committee for Standardization, Brussels, Belgium, pp. 10. Wood flooring - Determination of resistance to indentation - Test method. European Committee for Standardization, Brussels, Belgium, pp. 14. Durability of wood and wood-based products - Natural durability of solid wood. European Committee for Standardization, Brussels, Belgium, pp. 64. Paints and varnishes - Coating materials and coating system for exterior wood - Part 5: Assessment of the liquid water permeability. European Committee for Standardization, Brussels, Belgium, pp. 22. Acquisition of sorption isotherms for modified woods by the use of dynamic vapour sorption instrumentation. Principles and Practice. Document IRG/WP/10-40518, International Research Group on Wood Preservation, Biarritz, France, pp. 10. Genuine lignin. I. Acetylation of pine wood. Berichte der Deutschen Chemischen Gesellschaft 61: 948-51. Wood modification, chemical thermal and other processes. John Wiley and Sons Ltd, Chichester, UK, pp. 260. Decay of anhydride modified wood. In: Proceedings of the “First European Conference on Wood Modification” (Van Acker J, Hill CAS eds). Ghent (Belgium) 3-4 April 2003. Ghent, Belgium, pp. 143-152. Chemical modification of lignocellulosic materials. Marcel Dekker Inc., New York, USA, pp. 384. Some aspects on resistance of acetylated wood against biodeterioration. Wood Research 74: 33-44. Wood - Determination of static hardness. International Organization for Standardization, Geneva, Switzerland, pp. 24. A study of strength, hardness and deformation of acetylated Scandinavian softwoods. Holz als Roh- und Werkstoff 52 (2): 83-86. Resistance of acetylated wood to biological degradation. Holz als Roh- und Werkstoff 58: 331-337. Acetylation of lignocellulosic materials. Document IRG/WP/3516, International Research Group on Wood Preservation, Lappeenranta, Finland, pp. 19. 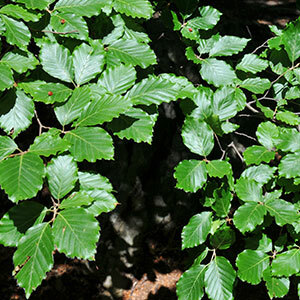 Improvements of stability and durability of beechwood (Fagus sylvatica) by means of treatment with acetic anhydride. Document IRG/WP/3645, International Research Group on Wood Preservation, Kyoto, Japan, pp. 13. The improvement of dimensional stability and durability of wood through treatment with non-catalysed acetic acid anhydride. Holz als Roh- und Werkstoff 49: 147-152. Wood species of Hungary. Szaktudás Kiadó Ház Zrt, Budapest, Hungary, pp. 212. Acetylated wood. Das papier 7: 87-92. Physical, mechanical and colour properties of acetylated poplar and robinia wood. In: Proceedings of 6th IUFRO Symposium “Wood Structure and Properties 10” (Kúdela J, Lagana R eds). Podbanské (Slovakia) 10 Sept 2010. Arbora Publishers, Zvolen, Czech Republic, pp. 231. Characterization of acetylated wood decayed by brown-rot and white-rot fungi. Journal of Wood Science 45: 69-75. Dimensional stabilization of fast growing forest species by acetylation. Journal of Applied Sciences 7: 710-714. The effect of acetylation on bending strength of finger jointed beech wood (Fagus sylvatica L.). Holz als Roh- und Werkstoff 66: 309-310. The effect of acetylation on the Janka hardness of pine wood. European Journal of Wood and Wood Products 69: 499-500. Toughness of pine wood chemically modified with acetic anhydride. European Journal of Wood and Wood Products 70: 399-400. Dimensional stabilization of rubberwood (Hevea brasiliensis) with acetic or hexanoic anhydride. Journal of Tropical Forest Science 18: 261-268. The effect of acetylation on the mechanical properties, hydrophobicity and dimensional stability of Pinus sylvestris. Wood Science and Technology 31: 97-104. Chemical modification of wood. Forest Products Abstracts 6: 12. Dimensional stability of flakeboards made from acetylated Pinus radiata heartwood or sapwood flakes. New Zealand Journal of Forestry Science 18: 124-131. Chemically modified solid wood. I. Resistance to fungal attack. Material und Organismen 32: 159-182. Critical parameters on moisture dynamics in relation to time of wetness as factor in service life prediction. Document IRG/WP/14-20555, International Research Group on Wood Preservation, St. George, USA, pp. 22. Mechanical properties and dimensional stability of acetylated aspen flakeboard. Holz als Roh- und Werkstoff 44: 453-457.